During my Thanksgiving break, I came across an inspiring story while scrolling through my Facebook newsfeed. With no nearby family or anywhere to go on Thanksgiving, a homeless man was going to spend the holidays alone. He decided to create an online ad that asked merely for company, and nothing else. Hundred of families contacted him, insisting that he spend not only Thanksgiving, but also Christmas in their home, as well. Overwhelmed by the content of this article, I realized something. 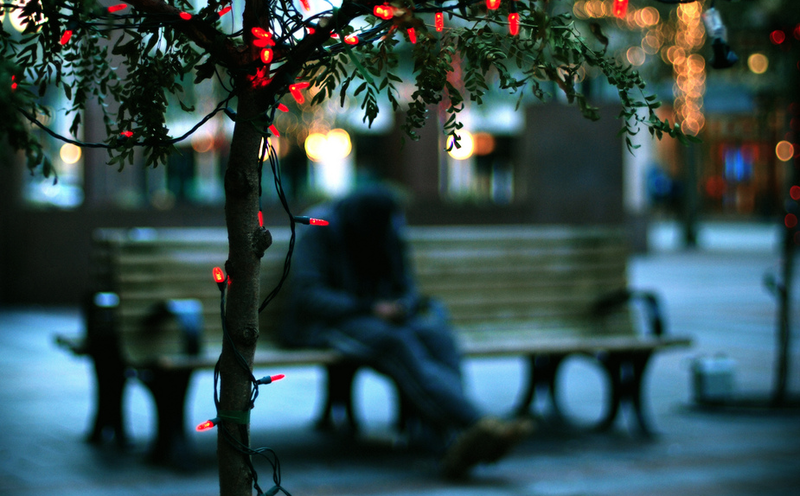 Many people, especially the homeless, end up spending a day that is meant for community, friends and family, alone. I also realized something else. During the holiday season, many people find that they have an incredible urge to give back. Sometimes, however, we get stuck and don’t know how to help. I am one of those people. While I’m hanging stocking on the mantle, or indulging in my family’s traditional coffee cake on Christmas morning, I always have an overwhelming desire to give more than I receive. And not just to the people whom I love, but to the hundred of thousands in my community who don’t have someone to share this joyful day with. While it’s not always possible to welcome a stranger into your home, there are many other ways to give back during the holiday season. Whether you spend your Christmas morning at the soup kitchen, or sponsor a child from an Angel Tree, there are dozens of ways to lend a helping hand. Especially in Birmingham, non-profits can only go so far to help. That’s where we need to step in. Here are some charitable ways that will inspire you to give back this holiday season. It may be a lost tradition to send and receive handwritten letters these days, but it’s one of most sincere ways to let someone know you are thinking of them during the holiday season. The Cards for Hospitalized Kids campaign is a meaningful way to make a sick child in the hospital smile. To learn more visit http://www.cardsforhospitalizedkids.com. While you’re writing letters, make sure to send one to 6-year-old Addie Fausett. Diagnosed with an unknown illness, which caused cerebral atrophy, a degenerative disease, in 2008, Fausett was told that this would most likely be her last Christmas. Her grandparents are hoping to supply Addie with enough cards to last a “lifetime of Christmases.” To learn more about Addie and her family, read her story here. Visit the Washington Post article here to read the article that inspired this post.